I just wanted to share my thoughts on Amazon’s latest flagship reader, the Kindle Fire HDX, ahead of its Oct. 18-28, 2013 US release date. 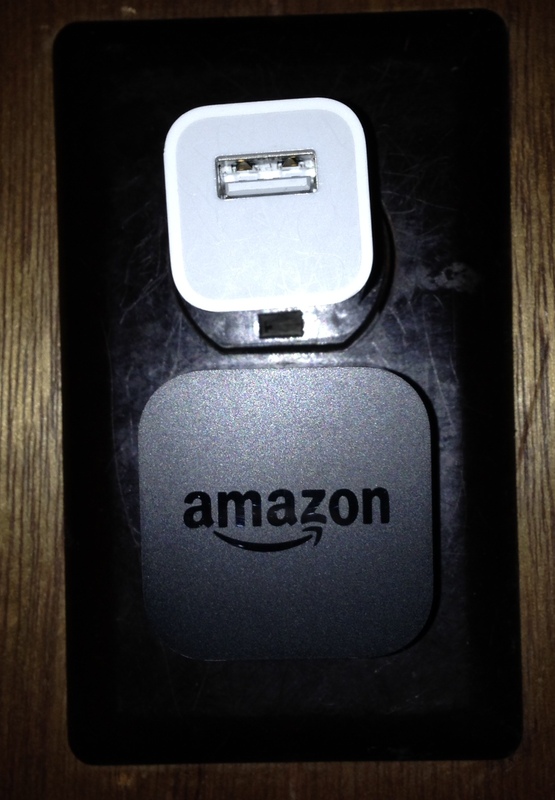 I’ve been a lover of Amazon since the site launched. Their service is cheap, easy, intuitive and their customer service is typically excellent (from my experiences). I have been a Prime member for more than four years (get Prime, seriously) as well. So, naturally, it wasn’t difficult to fall in love with Amazon’s tablets when they launched just a few short years ago. My wife owns the original Fire tablet and I have owed the Fire HD. They are wonderful products for reading, for internet and for most games and tablet uses. Since buying the Kindle, I find myself reading more than ever before. As a writer, I love Amazon’s text-to-speech function (and its many awesome voice options), as it quickly helps me find mistakes, grammar issues, spelling and other problems in my stories as I read along. In brief, the device is handy, portable, fun, efficient and enormously easy to use. The new HDX isn’t a major improvement over the Fire HD, but it’s a worthy upgrade, especially for potential new buyers. This new device is significantly faster than the previous version thanks to a quad-core Snapdragon processor. Internet browsing is vastly improved and games run a little smoother as well. The screen resolution has also been upped to 1920×1200, and looks gorgeous. And, as before, the tablet’s Dolby audio is absolutely astonishing. The HDX is fairly customizable, so for more information regarding specs and details, feel free to hop over to Amazon, where you’ll find photos, videos and more. The tablet’s redesign is quite spiffy. Simply moving the power button away from the volume buttons was a big improvement (power is on the opposite side now). With the old device, I continually found myself pressing the power button when I meant to press the volume buttons. That is no longer an issue. The tablet is also a little easier to hold than before, thanks to the squared design. One negative of the new model: the mini HDMI port has been removed. But Kindle’s OS now allows users to flip what they’re watching on their tablet to your home device (like a PS3) using Amazon’s Video app. Netflix also allows users this ability. So the mini HDMI port is a bit of a wash, though I imagine some will be disappointed by this missing component. The best aspect of the redesign is the weight. The Fire HD wasn’t a particularly heavy tablet, but for those who binge read (like me) you probably know that the tablet can wear you down after a while. The new HDX is about 30% lighter than the Fire HD, making it an easier tablet to hold for long hours. It’s also a tad smaller, too, while retaining the same 7-inch screen size. My only major gripe with the HDX thus far has been a persistent blue border that surrounds the vertical sides when there’s a white screen present. I’m guessing it’s a reflection of the white against the black plastic surrounding the glass, but I do find it a bit distracting — far more distracting that the previous Fire or Fire HD. I’ll have to check out another HDX at Best Buy soon and see if they have this issue, too. If not, it could mean I have a defective screen. I’ll update this article as soon as I know for sure. UPDATE 10/22/13: Amazon has now officially addressed the blue border. Here is their explanation: “We want you to know… The Kindle Fire HDX 7″ has perfect color accuracy (100% sRGB), and we wanted to share more details around our display design decisions that helped us achieve this. You may notice a very narrow, faint blue tint around the edge of the device when looking at items with a white background, such as books or web pages. All displays have some level of light emission around the edges, and the light on the Kindle Fire HDX 7″ is blue due to the technology used to render perfect color accuracy. Most LCD displays use white LEDs, and then apply filters to extract the desired color. The result is oftentimes a compromise to tone and color accuracy, or—if attempting to address these compromises—an increase in battery consumption and, thus, device weight. So there you have it. It sounds like a logical response, and the reasoning is sound. Blue LEDs were used to save weight and improve battery and color accuracy. It could also be total BS, that I am not sure. I imagine we’ll hear more as the tech community dives into this statement and dissects Amazon’s reasoning. That said, I have gotten used to the screen over the past few weeks. The image display truly is remarkable, even with the blue or purple border distraction. It’s not a major issue, but it’s a silly design choice that’s sure to piss off some buyers. I can’t wait to see what comes next with the Kindle readers. I’m hoping to see a tablet that has an HD (maybe 3D) screen on one side, and e-ink on the other. Perhaps that’s a pipe dream, but I’m hoping it’s coming in the next year or two. We’ll see. UPDATE 10/24/13: Mayday review … I finally had a reason to try Amazon’s latest customer service app, “Mayday,” last night. After a rather brief 30-second wait, I was connected with a rep who walked me through how to access and use Amazon’s pre-installed Officesuite. I thought the app was something you would just open, similar to other apps like Silk or Amazon Store. Rather, Officesuite has been integrated into the Kindle, which proved somewhat confusing to configure and use. The CS rep guided me through the whole process in a timely, efficient manner. He seemed to know what he was doing and was able to give me the tutorial with ease, though he did seem a little annoyed. I’m sure this is one question he gets a lot; that and “why is my screen border blue?” I placed my Mayday call in the middle of the night, so the service may not run as smooth during the day, but I can’t knock the experience yet. It was smooth, easy to use and kinda fun. Thumbs up, Amazon. I wonder how long until Apple follows this groundbreaking system of customer service. The HDX is not an iPad killer, but it is a pretty great competitor that stacks up well in many aspects, especially when it comes to cost and ease of use. If you’re in the market for a tablet, give it some consideration. 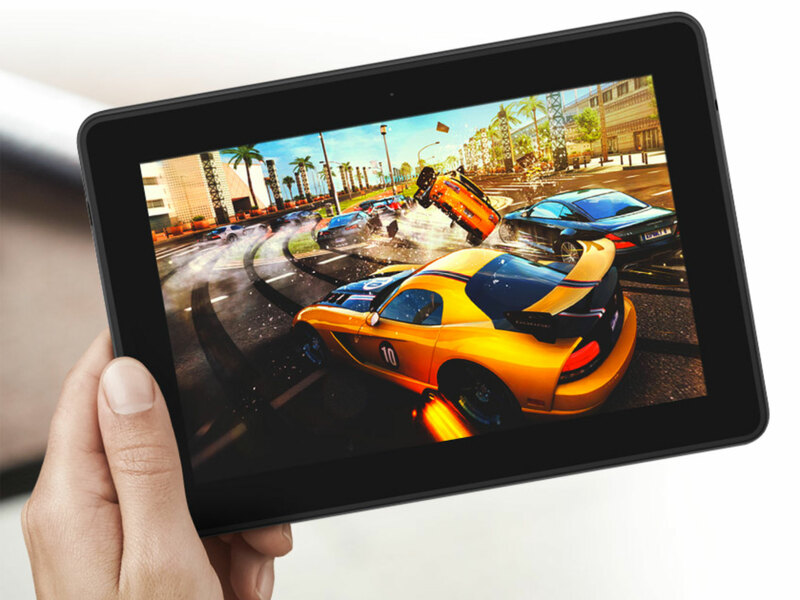 And if you’re on a budget, I’d definitely check out the previous Fire HD. It’s still an awesome tablet. Shameless plug time! If you own a Kindle (or have the free Kindle app on your phone), check out my thrilling short stories, The Stray Cats and The Horror. CLICK HERE to buy your copies today! And be sure to follow me on Twitter.